Stage 2 of TCEC, the Top Chess Engine Championship, is approaching its middle point. After 11 rounds, Komodo continues to lead with 8,0/11. The distance to the second Houdini was 1,5 points after round 9, but since then the picture in the general standings has changed. The second position does not belong anymore to Houdini, as it lost two games in a row. 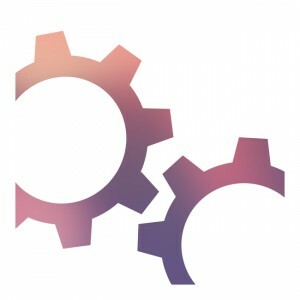 The winners of those games, Stockfish and Fire, are now shared second with 7,0/11 and each have a direct match with Komodo in the days to come. The leader Komodo had two very intense games. The first one was against the new version of Jonny, where Komodo could not convert an advantage that oscillated between +1,60 and +1,20 for more than 40 moves. In the second game Komodo had black vs Nirvana and the two engines showed how a perfect play in the Neo-Grünfeld line is a draw. 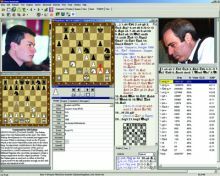 Stockfish showed how important are tablebases in the current state of computer chess software. While endgame knowledge progresses rapidly, tablebases still have the major advantage. In the game Raptor – Stockfish, Raptor tried to win a +4,77 position for 134 moves. Stockfish knew all along that the resulting game is a draw and a 50 moves rule had to be applied. It will be interesting to see how the two engines will handle the same opening with reversed colors in the second part of the TCEC Stage 2 round robin. 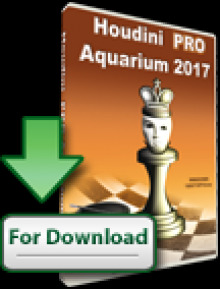 The game of round 11 was certainly Stockfish – Houdini. Stockfish showed clear technical superiority and replaced Houdini at the second position in the standings. Finally Fire 5 is stable and running on the full 20 cores of the TCEC server. As a result, Fire has emerged as one of the favorites, and probably with the best odds, to win the first part of Stage 2. In round 10 Fire, playing black, demolished Houdini in just 39 moves. This is one of the shortest victories for the black side in TCEC history. Fire might have been handed a fairly easy opening (an opening that it will have to defend as white in the second part of the round robin), yet it handled it perfectly and only after 20 moves the situation was hopeless for Houdini. In round 11 the opening vs Ginkgo was very balanced and the game was equal up until move 30. Right then Fire started exploring the position in micro steps and converted the game in a beautiful win. Fire definitely has the easiest program until the end – matches with the last two in the standings Naum and Chiron, a game vs Protector and a chance to play the leader Komodo in a direct match as white. 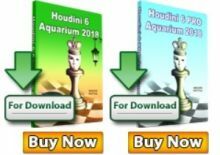 No matter that Houdini has not received an update for many years, it kept the second position in the standings up until round 9. Having been handed a few inferior openings, it looks like Houdini will stay in top 8 and qualify for Stage 3. This is very important, as then it will get an upgrade to Houdni 5 dev. As the author Robert Houdart stated, a good increase in ELO and playing strength is expected. With Houdini 5 dev in the picture, Fire running on full cores, and other engines that can take points from the favorites at any moment, TCEC is not anymore a two horse race.